We Buy Used Cars | Unique Autos Inc. Unique Autos Inc. has been family owned and operated for over 35+ years in the same location. We want to purchase your used car/truck with or without title. We offer instant cash appraisals in less than 10 minutes for your vehicle. We buy trucks, cars, vans, service vehicles and more. Fully licensed, bonded, and Insured by the state of California. Conveniently located across the street from a Wells Fargo and Chase Bank, as well as 5 minutes or less from all other major banks. We buy financed vehicles, leased vehicles, clean titles and even cars with lost titles. Our staff speaks multiple languages including English, Spanish, Arabic, and Hindi. We are here to make the car selling experience simple and smooth for our customers. We offer $200 referrals for customers who recommend friends & family to sell their car truck or SUV today! •Family business that has been serving the community for 30+ years. 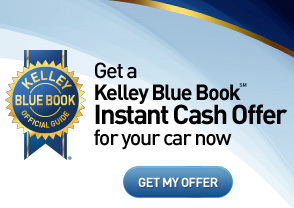 •In 2017 Unique Autos became an Official partner of Kelley Blue Book, ESPN and Autotrader! We buy trucks, cars, vans, service vehicles years 2004 and above! We prefer to purchase running vehicles!